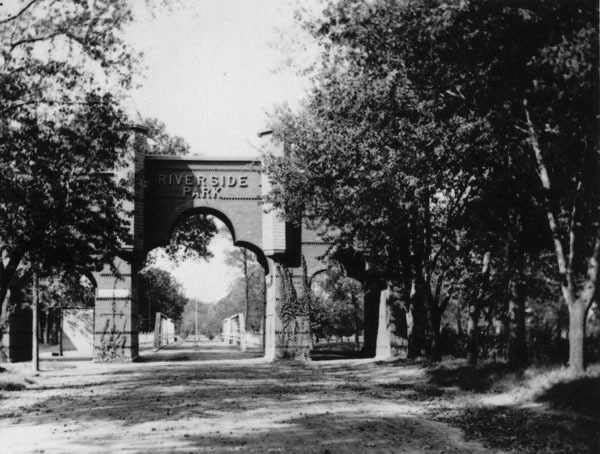 Description: Looking east from Waco Avenue at stone arch entrance to Riverside Park. Arch was located on the east end of the Murdock Avenue bridge, which is seen in background. Keywords: Sports and recreation, parks, Little Arkansas River, Wichita. 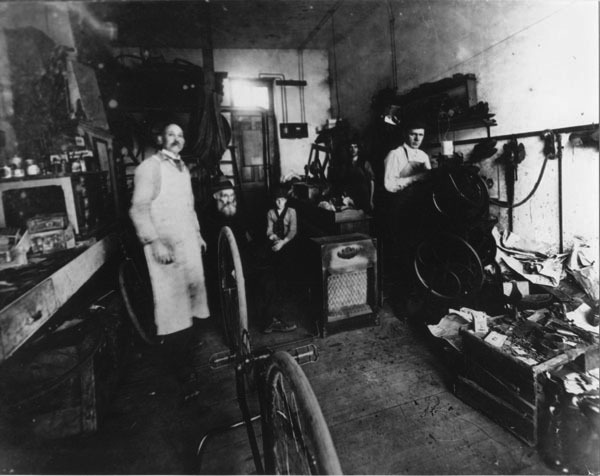 Description: Monclove Jackson's bicycle repair shop at 102 South Lawrence (Broadway); all men in photograph unidentified; Jackson shared the building with shoemaker Al Blase. Keywords: Wichita, sports and recreation, business and industry, people, Monclove Jackson, Al Blase, bicycle repair. 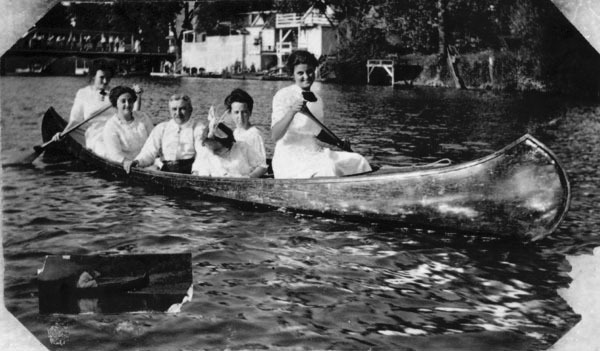 Description: Members of Sam and Robert Israel families canoeing on the river (all identified, on file). The Riverside Boathouse is in the background on the east bank of the river at the Murdock Avenue bridge. 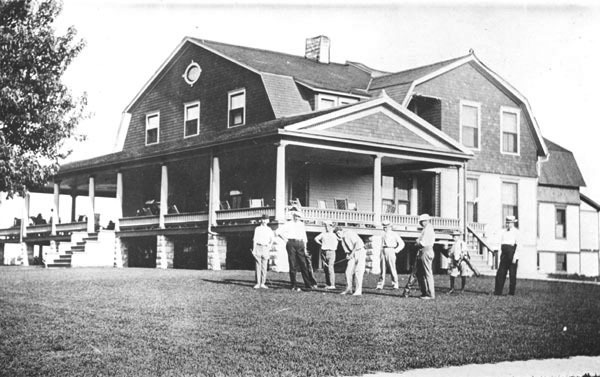 The boathouse business was founded by the Israel family. Inset is small photo glued to original in album. Keywords: Sports and recreation, parks, children, fashion, business and industry, people, transportation, Riverside Park, summer, Wichita. 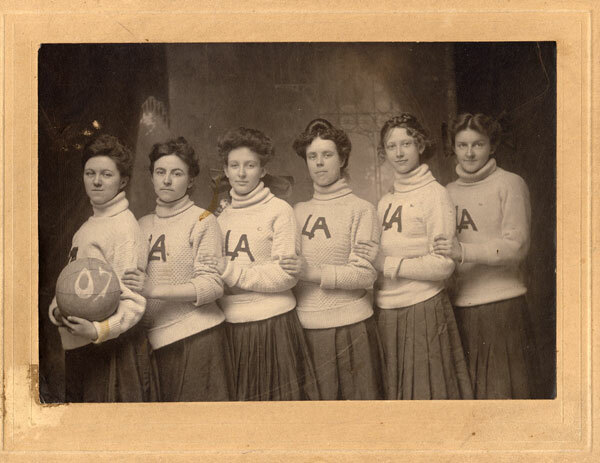 Description: Six women members of Lewis Academy basketball team. 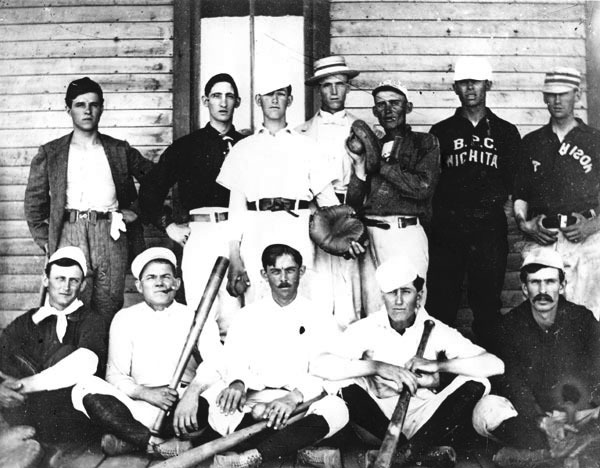 Keywords: Education, sports and recreation, school, uniform, sportswear, fashion, Wichita. Keywords: Sports and recreation, people, organizations, clubs & groups, equipment, uniforms, hats. 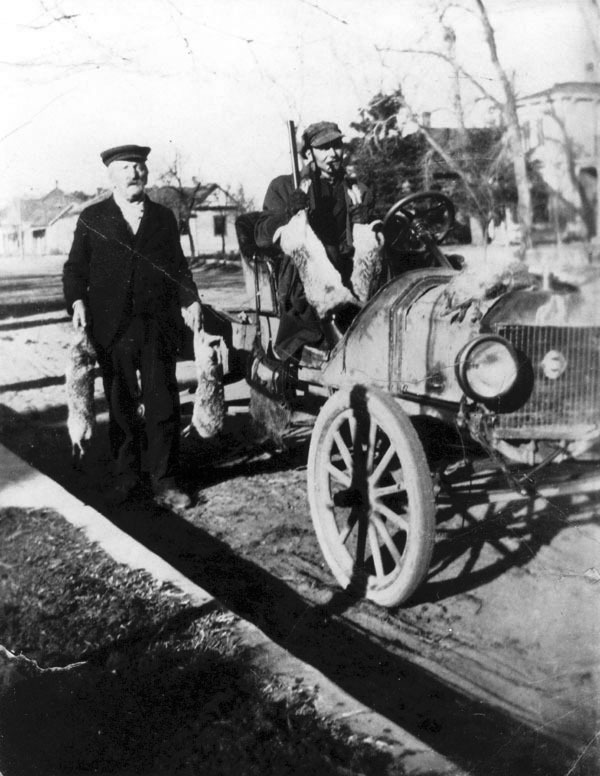 Description: Joseph Ackerman (standing) with relative after rabbit hunting. Ackerman owned Ackerman Island. Keywords: People, sports and recreation, transportation, guns, automobile. 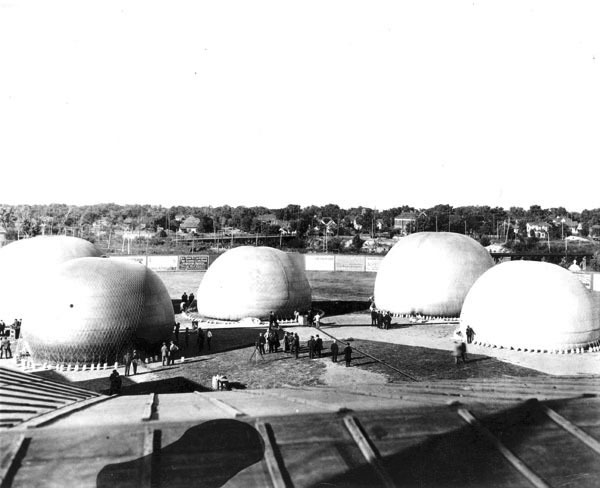 Description: National Balloon Race held October 1915 on Ackerman's Island at the baseball park, adjacent to Wonderland Park. Sponsored under the auspices of the newly organized Wichita Aero Club. Keywords: Transportation, parks, balloons, people, fashion, sports and recreation, aviation. 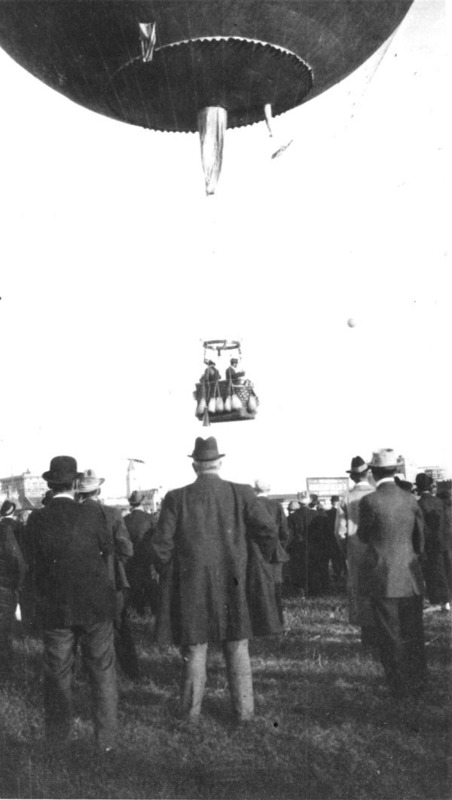 Keywords: Transportation, parks, balloons, people, sports and recreation, aviation.